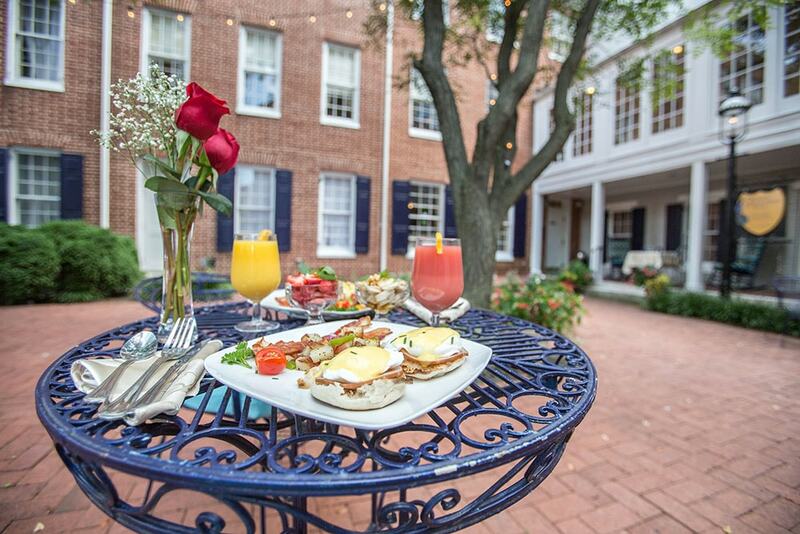 1840s Carrollton Inn is a boutique hotel comprised of a series of interconnected row homes, dating back to the early 19th century. This luxurious hotel boasts historic quality antiques and decorative furnishings. Established in 2007, the 1840s Carrollton Inn surrounds a courtyard adjacent to the 1840s Plaza, an authentic Baltimore event venue. 1840s Plaza is comprised of three indoor venue spaces as well as two courtyard gardens – perfect for any event! The iconic red cast iron facade was one of twelve that survived the great Baltimore fire in 1904 and was restored for the opening of the Baltimore City Life Museum. Rich in history and culture, this venue gives guests a glimpse of Baltimore’s distinct history combined with today’s modern luxuries. 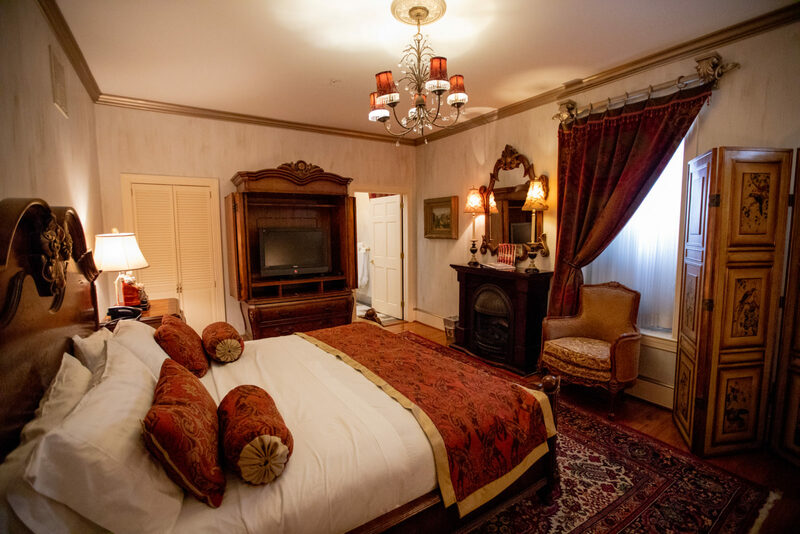 Unlike your standard hotel, 1840s Carrollton Inn offers thirteen luxury rooms and suites featuring boutique furnishings, fireplaces, whirlpool Jacuzzi tubs and king or queen beds with Kingsdown mattresses for ultimate comfort. All guest rooms offer a gourmet made-to-order breakfast, along with in-room mini refrigerators and microwaves, flat-screen cable television, and complimentary WI-FI. A guest computer and printer is available in the first floor lobby. 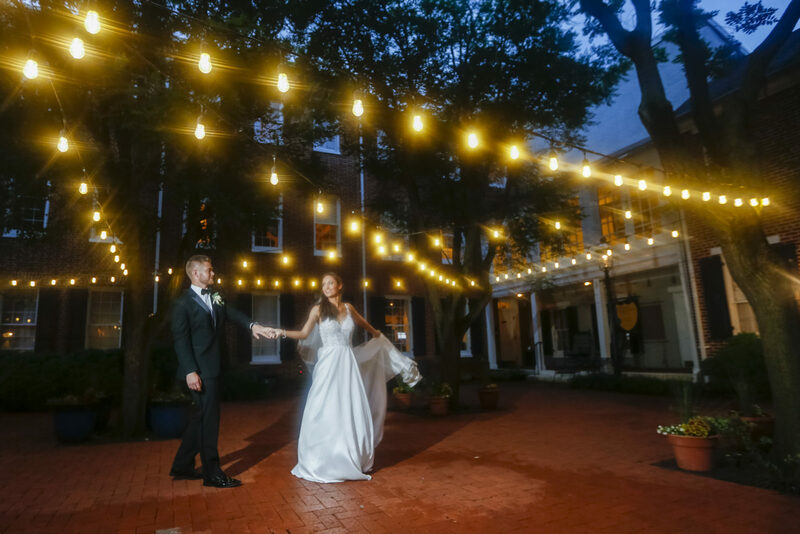 1840s Plaza is an elegant Baltimore event venue with several spaces available for events of any kind, including the Ballroom, City Lites and Cabaret. Located in the historic Jonestown neighborhood, 1840s is just steps away from the Inner Harbor, Restaurant Row at Harbor East, and Little Italy. 1840s Plaza is a hidden gem in the middle of a busy city with devoted staff ready to go above and beyond to ensure a flawless event from beginning to end. April Midweek Rate: $150(Sunday – Thursday) Savings of $75!